We offer wonderful massages to be sure, but we also carry a great line of organic essential oils by Original You. The line was created by Elisa Berchett in her quest to help herself and her family members who suffered from a variety of skin and health issues. Elisa found that medicinal treatments were often harsh on the skin and body. She began searching for natural solutions. To her delight, not only did these natural products eliminate many chemicals and medicines from her family’s home, but many times the natural ingredients worked more effectively and even added benefits beyond what was expected! 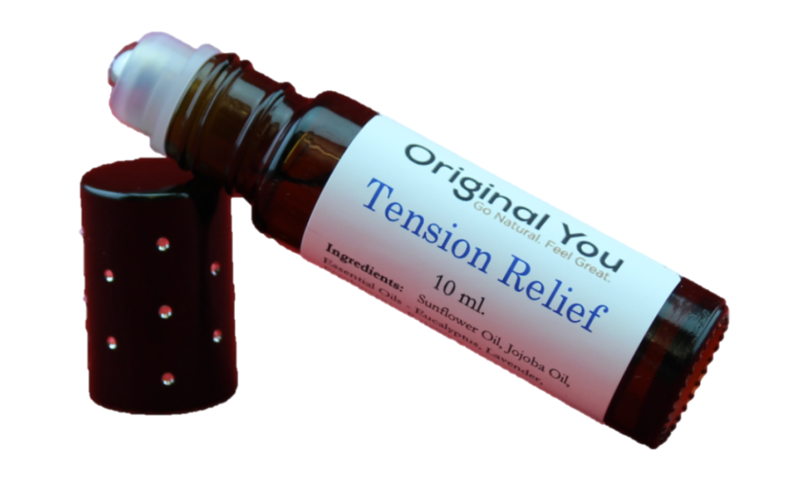 Please check out our offering of Original You’s products the next time you are in Big Creek Massotherapy. Post cosmetic surgery massage can help you heal. Surgery of any kind causes swelling in the surgical area, but cosmetic surgery in particular creates swelling that can “pool”. The proper gentle massage can aid in your healing and help reduce the swelling and pain. It can aid your bodies lymphatic drainage. It can help move fluids in your body that may be “puddling”. It can get your circulation moving when you are not up for and in fact restricted from exercising. Anthony and the team at Big Creek Massotherapy work with post operative patients to aid her or him in the healing process with massage techniques developed for post operative care. These massage methods are gentle and focused on helping you heal. One word of note, you must disclose to your massage therapist in advance of your massage what procedure(s) you had done. If you are uncomfortable and/or swollen from a medical procedure call and speak with Anthony. Massage may help. Anthony can help you determine what massage techniques will benefit you. If necessary he will research your surgery to determine best approach and get back to you. Ask Anthony! Anthony Salem, Owner of Big Creek Massotherapy is a great resource for helping individuals deal with pain. He listens to what clients tell him is hurting. If you can tell him what caused the injury even better. IE: overuse of the muscle in softball, you twisted your ankle on the golf course, etc. Anthony and his team will adjust the massage to fit your needs. If you are experiencing pain and let them know in advance they will research additional information to help you. They will also look for issues that cannot be addressed with massage. Sometimes pain requires medical attention. Sometimes massage will not help the pain. Ask Anthony and he will help you determine if massage will be of benefit to you. I wanted to say Hello from my baby-hiatus and introduce y’all to my newest squad member, Miss Mavis! I’ve set Reiki services on hold for the moment until I’m ready to leave her for long enough that I am able to be calm and fully present for my client’s fullest experience. In the meantime, I would love to share in your company at one of my exciting seminar workshops I’ll be hosting for the rest of this year! I’ve got so much I’m excited to share with everyone and I hope that you’ll be able to make one of my knowledgeable seminars on some of my favorite topics to talk about! Join Usui Reiki Master Teacher Michelle Sokol in an informative seminar on the basics of what energy work is and what it entails as well as an overview of Reiki and find out how it can benefit you. Please RSVP & Register ahead of time as space is limited for the most engaging experience! In an exciting collaborative effort-- Join Usui Reiki Master Teacher Michelle Sokol alongside Lorraine McCourt from OR; The alternative-- in an informative seminar on the basics of energy cleansing and learn tips and tricks to keep yourself bright and feeling your best! All participants will receive Reiki infused Epsom Salts to take home! Please RSVP & Register ahead of time as space is intimately limited for the most engaging experience! Please RSVP & Register ahead of time as space is limited for the most engaging experience! Children are welcome. (Crystals 101) is the study of the scientific properties of crystals and how they can effectively be used for holistic and metaphysical purposes. In this seminar, the basic science of crystals will be discussed along with how to prepare and use crystals for holistic and metaphysical purposes. Charging, intention-work, gridding, and other ways that crystals can effectively be used will be discussed. Please bring any crystals with that you would like to work with. Educational materials, personal recommendations, and further information resources about crystals will be available. Cost of seminar is $35 and materials will be provided by instructor. Please RSVP & Register ahead of time as space is limited! Join me in watching one of my absolute favorite crystal movies!!! Bring your favorite crystal and let’s hang out! Join me for an end-of-the-year energy-sharing session. Let’s talk about how we have processed through the past year and what we hope to manifest in the new! I am still offering flexibly scheduled Usui Reiki Trainings and can work with you in a variety of ways either in-person or online! Each level has an 8 hr education requirement and I provide all materials and training with a certificate provided at completion! Let me know if you are interested in scheduling! I hope you can join me in the months to come and I look forward to seeing you soon! We are in the massage business so it is obvious we feel massage is beneficial. Some recent research brought up an article by the Mayo Clinic regarding the many benefits of massage that we feel is worth sharing. Read the complete article Massage: Get in touch with its many benefits. The Mayo article covers what massage is, how it is beneficial to you, when massage may not be advised and how to find a massage therapist. If would like our help finding the right massage therapist for you call us (440) 799-8988. Click here for appointments and gift certificates!